and to advise commanders on the complexities of religion with regard to its personnel and mission, as appropriate. 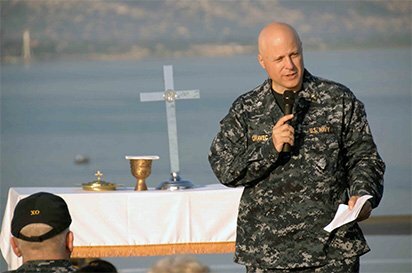 As military members, chaplains are uniquely positioned to assist service members, their families, and other authorized personnel with the challenges of military service as advocates of religious, moral, and spiritual well being and resiliency. At Good Soil, we are honored to provide training and resources for ministries to our military! The flexibility of The Story of Hope makes it an ideal choice for use by military chaplains. It is time-flexible—can be used in brief presentations or for more in-depth Bible studies. It can be used in group studies, one-on-one studies, or personal studies in the barracks. The workbook format of The Story of Hope is designed for participants to be actively engaged in personal Bible study, studying Bible texts for themselves and coming to their own conclusions about God and the Bible and their need of a personal faith response to receive Jesus Christ as Savior. 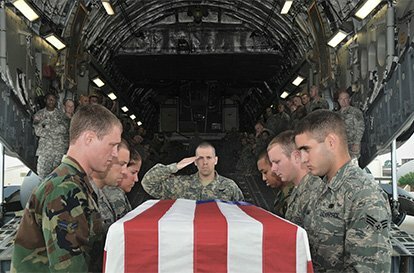 The Story of Hope is an excellent study for military personnel, regardless of their religious backgrounds or their levels of Bible knowledge. Studies begin in Genesis, where they begin learning about the Creator God who made them and loves them. Then, studies continue through the remainder of the Old Testament and to the end of the New Testament. Participants learn the BIG overall Story of the Bible in a way that God’s plan of redemption becomes clear to them. Durable 64 pages with plastic coil binding. Generous quantity prices available. 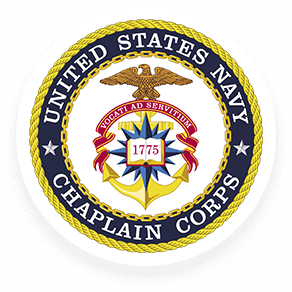 If you are a chaplain, ask us about possible funding assistance. The FREE Leader’s Guide contains 103 professionally-designed pages of answers to the questions contained in The Story of Hope and suggestions as to how to deal with some of the common questions you may face, as well as many other tips for making your study successful. 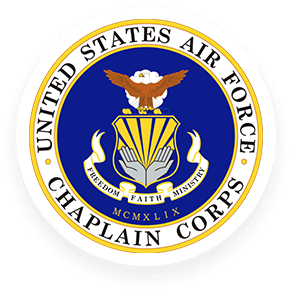 Or, if you are a chaplain you might want to use The Story of Hope Class Facilitator Guide in training your staff and interested enlisted personnel. It is a complete curriculum, including lesson plans for 31 class sessions and lots of FUN learning activities. Bible memory verse cards, as well as a Bible reading and prayer journal are included. The Leader’s Guide for The Way to Joy contains 44 pages of helps for you as you disciple military personnel using this Bible study workbook. It is professionally designed and easy to follow. All of the answers and explanations you will need for leading a basic discipleship study are available to you in the guide. Or, if you are a chaplain, you might want to use The Way to Joy Class Facilitator Guide in training your staff and enlisted personnel. It contains complete lesson plans for 13 class sessions, with a goal of equipping Christ-followers to disciple others. Pocket-size (4.5" x 3.375") cards for gospel presentations, summarizing the Bible's redemptive story, based on eight key gospel truths that emerge chronologically from Genesis through Revelation. Set of 135 pocket-size cards (4.5" x 3.375") for studying and reviewing 100 key events in the Bible’s BIG redemptive story that begins in Genesis 1 and culminates in Revelation 22. One card for each of the 100 events—50 Old Testament and 50 New Testament, plus 25 cards for the major eras of the Bible. Bible event images from the Good Soil Redemptive Art Series appear on the fronts of the cards and key content for events are on the back sides of the cards. These cards are printed on solid card stock and are UV-coated for durability. Carry The Story of Hope on your mobile phone or iPad. All 40 Bible event-images found in The Story of Hope, plus the Chronological Bridge to Life in a mobile app. Available for Apple and Android devices. Also, a FREE 20 events version available: The Story of Hope—Condensed. 100 Bible-event narratives, in an audio format. 50 Old Testament narratives and 50 New Testament narratives, professionally voice-acted and produced. Nearly 6 ½ hours of a dramatic audio journey through the Bible, from Genesis through Revelation. This is a pocket-sized 20 event version of The Story of Hope. Use this version to either share God's story of redemption with someone "high on the GSED Scale", or to create an interest for a complete study of The Story of Hope. Comes in Packet of 5. Pocket-size edition of The Story of Hope. Contains 20 events from the Bible’s redemptive story—10 from the Old Testament and 10 from the New Testament, plus the Chronological Bridge to Life. An excellent resource that you can carry with you, to use as God opens up opportunities to share the gospel in the field, as well as elsewhere. Buy packets of five to share with personnel who attend your chapel. The essence of a Good Soil seminar in a narrative-audio format. The fictional (but real-like) story of a missionary couple in western Europe that becomes discouraged because of a lack of lasting fruit from their ministry. But, along with their German colleagues, they discover some principles in the New Testament that totally revitalize their ministries. Great way to learn the theology of evangelism and discipleship that undergirds Good Soil E&D. Gaining Ground with Good Soil is an evangelism and discipleship narrative—a scaled-down version of the Good Soil Evangelism and Discipleship seminar in a narrative format. The principles gained from this book are applicable for anyone wishing to serve God through Biblical evangelism and discipleship, but is especially instructive and helpful for ministry leaders, including military chaplains. The realistic, but fictional narrative, around which the book is developed, tells the story of a couple of missionaries who were frustrated and discouraged—to the point of almost giving up—because of their lack of success in evangelism and discipleship on their field. But, the "Good Soil" principles they learned from Bible study revolutionized their ministries. It will help you think through a theology of evangelism and discipleship and help you to present the gospel so that men and women will clearly understand it, sincerely embrace it, and firmly hold on to it. If you are a military chaplain or a missionary to USA military, with a USA shipping address, and will commit to reading this book, we will send you a FREE (and postage-free) copy of Gaining Ground with Good Soil. One of our Good Soil Seminar graduates is now (2012) a chaplain with the U.S. Army deployed to Afghanistan. A few months ago he asked us to send him 50 copies of The Story of Hope, saying “I’m excited about the prospect of using The Story of Hope because many of my soldiers are religiously conscious but do not truly understand the gospel. 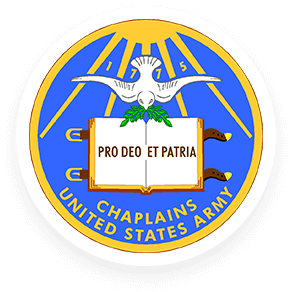 The focus of this page has been on using Good Soil in your military chaplain ministries. But, Good Soil provides training and resources for many different kinds of ministry.